When Nadia's family moves to Captive's Sound, she instantly realizes there's more to the place than meets the eye. Descended from witches, Nadia can sense that a spell has been cast over the tiny Rhode Island town - a sickness infecting everyone and everything in it. The magic at work is darker and more powerful than anything she's come across and has sunk its claws most deeply into Mateo...her rescuer, her friend, and the guy she yearns to get closer to even as he pushes her away. 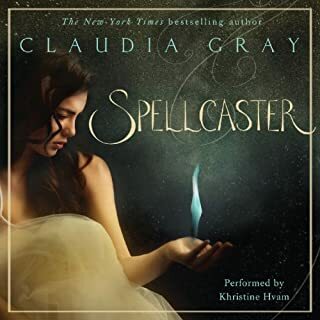 The fate of the multiverse rests in Marguerite's hands in the final installment of the Firebird trilogy by New York Times best-selling author Claudia Gray. Ever since she used the Firebird, her parents' invention, to cross through alternate dimensions, Marguerite has been at the center of a cross-dimensional feud. Now she has learned that the evil Triad Corporation plans to destroy hundreds of universes using their ultimate weapon: another dimension's Marguerite, who is wicked, psychologically twisted, and always one step ahead. Even though her boyfriend, Paul, has always been at Marguerite's side, the Triad's last attack has left him a changed man, and he may never be the same again. Marguerite alone must stop Triad and prevent the destruction of the multiverse. It's a battle of the Marguerites, and only one can win. This was a fantastic end to the firebird trilogy! 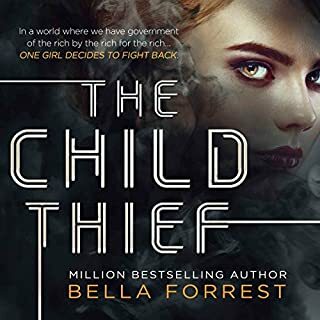 Some parts were slightly predictable, but most of it was filled with twists and turns that kept me listening to the audiobook until the end! There are new and old worlds explored in A Million Worlds With You. I laughed, I cried, i was heartbroken and hopeful! I wish it didn't have to end, but I am content. Thank you Claudia Gray. Bravo on another series well done. Can't wait to listen to/read what she has next. I enjoyed the authors imagination. 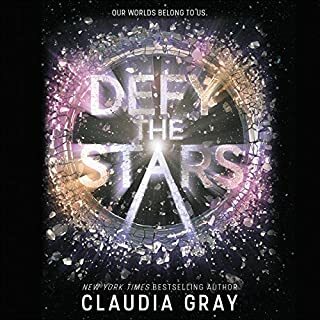 Claudia Gray has a way with characters that is just so engaging. This book starts off dramatically and keeps the pace fast throughout. Though there is moments I find myself frustrated with Marguerite's obliviousness, overall I still enjoyed the Story. I think I enjoyed this book better than the first! I liked having everything established and it was neat to see these concepts expanded even more. One thing I love about good fantasy/sci-fi writers is when they make the readers think they've gotten all of the reveals and then something totally new is revealed and it's like a whole new world opening up! I'm still not the biggest fan of the romance, but I don't think I will be at this point. It's kind of just there for me and I don't love that it's the main reason why Marguerite is doing what she's doing, but I guess I also like that her guy isn't someone she just met and that it's someone who's been in her life for a long time. There's just something about it that still feels like instalove for some reason, and I think it's the way it was all set up in the first book. I don't have a problem with instalove when it's executed well but I've just never been a fan of this relationship. The further development of the multiverse is fascinating! We get to know the same characters but in different dimensions and how their lives are different, as well as how one dimension may be affecting another. Things dig way deeper in this book and the plot was even more fascinating! I'm still not tooootally in love like I had hoped to be but these books are proving to be very enjoyable and I'm glad I'm reading them back-to-back-to-back so I'm able to soak everything in and not have a year in between each book! Amazing Conclusion to the Series! Wow, what a book. What a series. What a narrator. 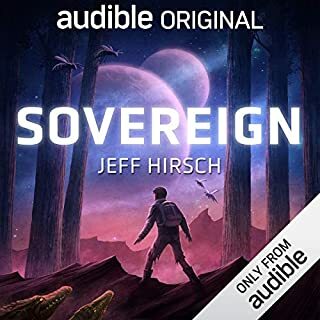 This trilogy rocked my world, got me into audiobooks, and left me dying for more. 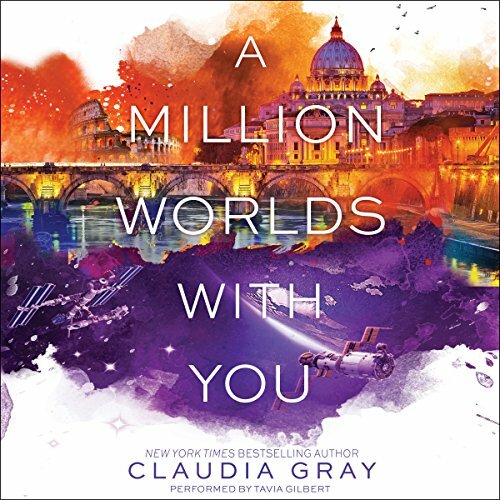 I would give insane amounts of money to Claudia Gray if she would only write more in this multiverse. The romance between Marguerite and Paul is nothing less then epic. The scene with the many Marguerites had me in happy tears, and literally gasping with joy. As a fan of YA lit, I probably forgave it of some silly romance or plot points, but I couldn't care less. I honestly just had so much fun with this whole series, and I intend to re-read it. I'm even tempted to buy hard copies just to read it that way too. And because no review is complete without it: I LOVE Tavia Gilbert. She's beyond talented, and I've searched for books simply because I know she narrates them. I could not ask for a better narrator for this incredible series. I love this series!!! Each book has its own twists and turns, and leaves you breathless! This is the final book in the series, and I have to say I found myself laughing and crying to the very end! If you read only one series, make it this one! 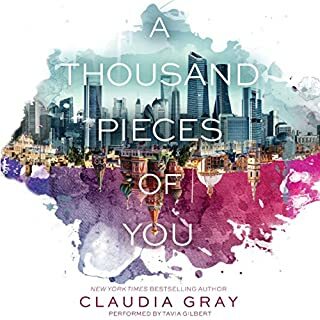 Claudia Grey is an amazing author. She can really draw you into the story, and make you feel like you are part of it. Bought on the recommendation by a colleague, the story opens on the tone of a teenage novel, built on the emotional perspective of rebellion, self- interest and random choice. I prepared myself for disappointment. When the key protagonist Marguerite sweeps past the potential for the level of detail I hugely enjoyed in The Martian with a 'I won't bore you with all the scientific mumbo jumbo' dismissal, I dropped further into the potential crevasse of Barbara Cartland meets wannabe high school writer. I stuck with it though, listening to all 3 books in the series. There is enough repetition in the stories to lose a star - constantly referencing an earlier event to explain a current. And a better writer would have added detail not revealed in the earlier script to further the 3D credibility of Marguerite - narrator. Real people remember detail later to the event. Trying to set each novel up as a standalone costs the momentum and causes the main character to suddenly reduce to just an invention at the pen of the writer. Tiresome. However, the series rates 4 stars for the onion like peeling in the development of the main character's awareness and the resolution of a fun story to a very satisfying ending all round. No loose threads but not too neat. Tavia Gilbert does it justice in her range of voices. Well worth the time! So I’ll preface my review by admitting that at 31, I’m probably older than the author’s targeted demographic for this trilogy. Because of that, some aspects of it did come off as juvenile to me, and some of the writing itself was amusing at times (the sentence “distant cries rose in the distance”, for example, and the many passages in which Marguerite anguishes over her relationship with Paul) but I’m truly not a book snob so those things didn’t bother me too much. Plus if you’ve made it this far in the series, you’re already familiar with the author’s writing style so it’s a little too late to nitpick. Above issues notwithstanding, I really liked this trilogy. I found it enjoyable for what it was. The premise of dimension travel was unique to me as I’d never read anything similar in the YA category (or at all) and I really liked the parts where Marguerite would first find herself in a new dimension and you’d learn what the differences were between that one and her own. Personally I could’ve gone without all the monologues about fate in regards to Marguerite and Paul, Marguerite and Theo etc. But I suppose the author has to satisfy her target audience’s taste for conflicted teen romance and it definitely had enough of that. Personally I preferred the sci-fi aspects and action scenes. It was interesting and fun enough to keep me listening without getting bored or tired of it. In the last hour or so I started to wonder if there was going to be a fourth book and I would’ve continued the story for sure, but the author was able to wrap it up. In regards to the ending-I can’t say I completely disliked it, I was just a little dismayed at how easily and conveniently everything wraps up in a climactic ending scene after Marguerite and her family had faced all these obstacles and challenges throughout the trilogy. It was as if the author herself couldn't really find a solution to the problems she'd created, so she threw in one last trick to fix everything. It's just that you never hear of this trick at any point elsewhere in the book(s). So that all seemed a little too simple which was in sharp contrast to how complex other issues were made. 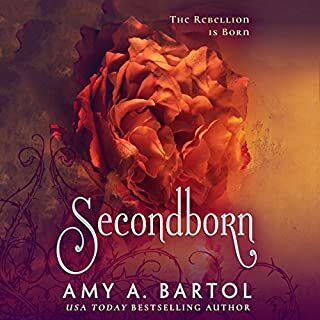 One of the other reviewers mentioned that this book contains recapping of the first two Firebird novels and that IS true-however I kind of appreciated that here, because it had been a while for me between finishing the last book and purchasing this one. I didn’t find it too excessive to be bothersome. Narration – I’m kind of on the fence here. On one hand, I did find Tavia Gilbert to know her way around French and Russian accents well (although some other reviewers have said the accents were horrible so it's subjective). I also thought she did well on the male narration and was even able to convey enough difference between Paul and Theo that I could tell who was speaking without having to hear the “Theo said”, “Paul said”. On the other hand..she could also be a little dramatic for me. Yes, there are dramatic scenes and it’s the narrator’s job to portray that, but at times she sounded close to hyperventilation and other times she would simply overdo it. So she’s obviously a talented reader with the ability to do different genders and accents, she just took it a bit too far here for my taste. All in all I did enjoy this book and found it a nice conclusion to the series, which I’m glad to have come across. I would recommend it if you are looking for something fun and different. Great story. I did enjoy this book. But so much of it is retelling of the previous books. This did not play such a big role in the last book. I found it frustrating and disengaging. this trilogy is one of the best I have listened to! the characters are so diverse and 3 dimensional. (pun!!) I can't recommend it enough. the narrator does an amazing job with all the different accents and emotions!! can't wait to find more from her. a must read!! Awesome conclusion to a brilliant series. The brilliant conclusion to a wildly unique series. The voice acting is again a highlight with the different accents and speech patterns adding interest and depth. Definitely a book and series to listen to rather than read. Do yourself a favour and listen to these three wonderful books - you won't regret it. fantastic book for either gender.